Despite sacking their coach just 71 days before the World Cup, Japan will attempt to prove their doubters wrong on Tuesday against a Colombia side sweating on the fitness of star midfielder James Rodriguez. The top scorer at Brazil 2014 is a doubt for the Group H opener at the Mordovia Arena in Saransk after struggling with a strain in his left calf, which also flared up last February. The Bayern Munich attacking midfielder is key to Colombia's chances of repeating their run to the quarter-finals four years ago in Brazil. However, the South Americans face a Japan side who would struggle to avoid an early World Cup exit even if they were under Jose Mourinho, according to former coach Philippe Troussier. In a recent AFP interview, Troussier suggested Japan have "no chance" of reaching the knockout stage after sacking Vahid Halilhodzic in April. "Even if they play with Mourinho or Arsene Wenger, it would be so difficult for Japan to get to the last 16," said the Frenchman, who steered Japan to the second round of the 2002 World Cup. Troussier's bleak prediction follows unsettling events in the national team. After Halilhodzic was sacked, the Japanese FA replaced him with former technical director Akira Nishino. The 63-year-old has plenty of experience in the J-League, but at national level has only ever worked with Japan's Under-20 and Under-23 teams before. With Robert Lewandowski-led Poland and Senegal also to come in the group, Japan need a good start. "If Poland was the first match it would be different. But the fact that Colombia is the first match and Senegal the second – for me, on paper at least they have no chance," said Troussier. 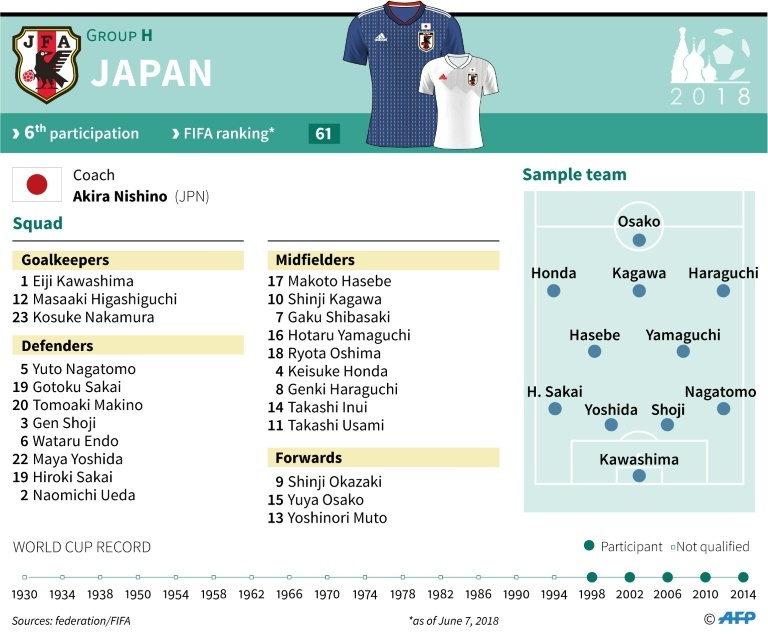 The high-risk move to install Nishino will be tested in Saransk as the Japanese try to improve on the 4-1 drubbing handed to them by Colombia at the 2014 World Cup when Jackson Martinez scored twice. Colombia marched into the last 16 and the result sent the winless Japan home after finishing bottom of their group, a record they are desperate to improve on despite the last-minute change of head coach. 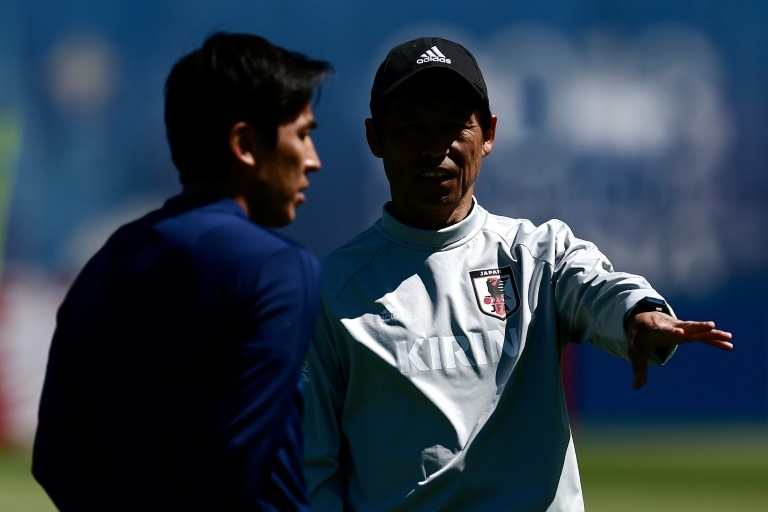 "Despite that, I think we will cope," said Japan captain Makoto Hasebe. "We have three tough opponents. But they are not (defending champions) Germany, so we have a chance and we hope we can go further." Their form in the pre-World Cup friendlies gives Japanese fans hope. They romped to an impressive 4-2 win last week over Paraguay when midfielder Takashi Inui scored twice, after defeats to Switzerland, Ghana and Ukraine. 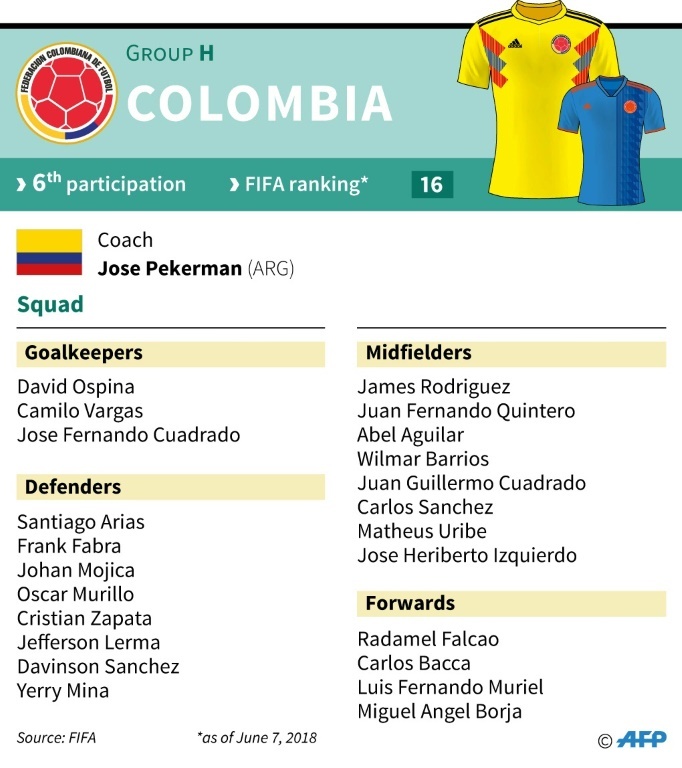 Colombia are unbeaten this year after seeing off France 3-2 in March before goalless draws against fellow World Cup contenders Egypt and Australia.